On the road again. That is the theme for this weekend as I head for the Route 66 festival in Holbrook. It also happens to be the underlying theme of the Armchair Tour of Route 66, a presentation I am scheduled to make at 7:00 tomorrow evening. Since January of this year when I made the initial presentation for a Route 66 Association of Kingman fund raiser, there has been ample opportunity to hone it a bit and add some polish. A few weeks ago a similar presentation was made for a contingent of French travel journalists. Then, for Lon Haldeman’s tour group, I just made a presentation on the Arizona segment. Last week it was a presentation for a sizable Good Sam group at Grand Canyon Caverns. 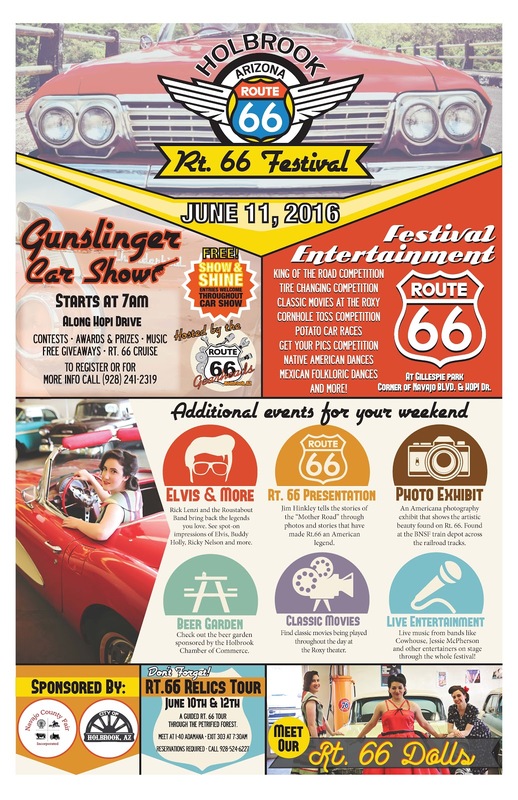 The event in Holbrook is the true test as it will be before a group of dedicated Route 66 enthusiasts. After this, we really take the show on the road as we head for Germany. I have always enjoyed sharing the allure of Route 66, its history, and encouraging people to make their own voyage of discovery along the old double six. Designing and delivering these presentations is a new venue for artistic expression aside from writing. Another interesting turn of events is in regard to economic development in rural communities. Specifically, utilization of the Route 66 renaissance as catalyst for economic development and revitalization. On the the 23rd of this month, I will be speaking on this subject in Needles. Needles in late June, this should be interesting. Well, I hope to see you in Holbrook. Indications are that it will be quite a weekend.